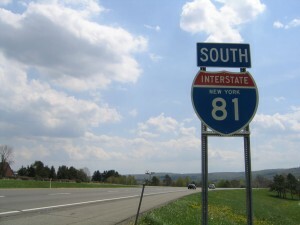 Interstate Moving Services Provided in and out of New York and across the East Coast. 1. Choose a licensed moving company: This should go without saying. You should deal with licensed and insured movers only. You can check the validity of any interstate moving company with the Commissioner of Transportation, DOT, FMCSA, and many review sites online. 2. Get a couple of estimates from different movers: Different moving companies have different prices, and difference services. Before you settle on a specific interstate moving company, make sure you compare their charges with those of other moving companies to ensure you are getting a good value. Bear in mind that estimates that are arrived after a physical inspection of your home/premises are the best. 3. Read every single document you sign: Interstate moving companies require you to read and sign a number of documents i.e. the order for service. You should read everything before you sign to understand any liability. You should also keep copies of such documents as a point of reference incase of any claims/legal problems that may arise. The above tips summarize the most important tips to consider when choosing a long distance moving company. There shouldn’t however be a cause for concern if you choose to move with one of the best interstate moving companies, Moving Masters.